1 Heat the oil in a frying pan and sauté prawns for 1-2 minutes on each side until they turn pink. 2 Mix together the dressing ingredients . 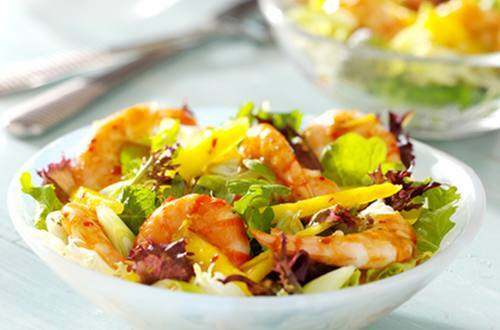 3 Toss the salad, onions, mango and prawns in the dressing and serve immediately.